Chesterfield FC are supporting the Rainbow Laces campaign on Saturday 25th November 2016. This campaign will raise awareness of issues faced by LGBT players and fans in sport. This weekend’s round of fixtures has been selected as the charity’s annual awareness week. Football clubs up and down the country are uniting in support of the campaign. 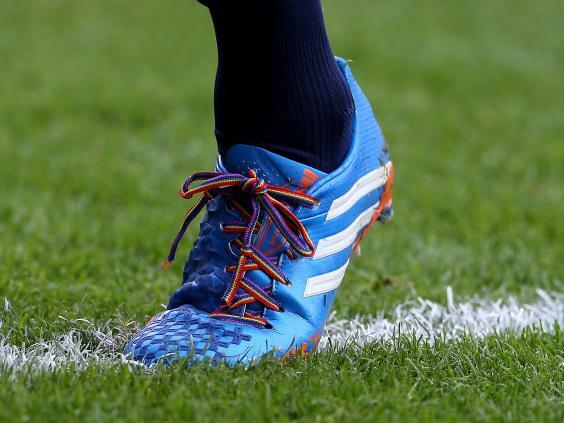 The laces have been introduced in a bid to tackle homophobic, transphobic and biphobic attitudes. Spireites players will be wearing the laces to help raise awareness in the game against Bristol Rovers.